Gold and black stars and stripes surround a gold lamp of knowledge on this budget friendly award. The black base offers plenty of room to personalize for your event to acknowledge excellence in academics. Midnight star resins are available in two sizes. 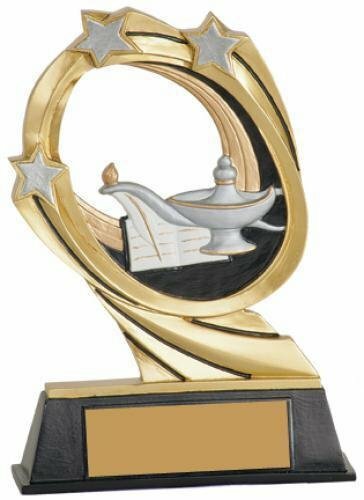 The lamp and book seem to burst out of the stars and stripes embellished victory "V", and give this award a real 3D effect. V Series resins are available in two sizes, and the bases can be personalized for your event. 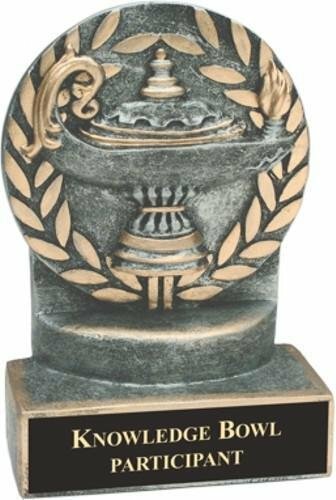 This award is a budget friendly, unique recognition of excellence in academics.